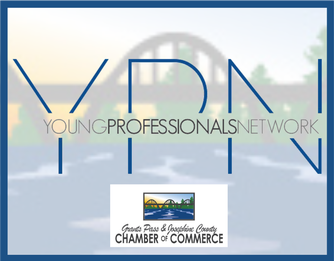 Please join us for the first Young Professionals Monthly Luncheon. Our guest speaker will be business owner and SBDC Advisor Dave Tally! Please arrive early to network and order lunch! There will be a limited menu to order from that is all inclusive for $12. Please RSVP! The Young Professionals Network is for young professionals in the target age range of 21-40 who are looking for networking opportunities with other young professionals, connections to the community and business leaders, community engagement, and professional development.The network holds monthly luncheons, quarterly socials, and community service projects. 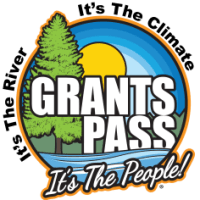 This program is a part of the Grants Pass & Josephine County Chamber of Commerce.The Chamber is a catalyst that enables businesses to accomplish collectively what no single business could do alone. A strong united effort gives a voice to members, provides a business environment that is both competitive and supportive and helps improve the overall health of our community. Please arrive early to network and order lunch.